Jack and Wendy are a young couple in a dying relationship that neither of which want to admit, they are both attempting to hold onto their toxic relationship even though they constantly argue and don’t get along. The two are on there way to an awkward wedding between mutual friends, when their car breaks down on a backcountry road. After waiting around, and between the awkward silence and unspoken argument between the two, Wendy decides it would be more efficient to walk up ahead to find cell any help and to clear her head. Jack stays behind due to a broken leg and to see if he can prove his worth to Wendy by fixing the car. 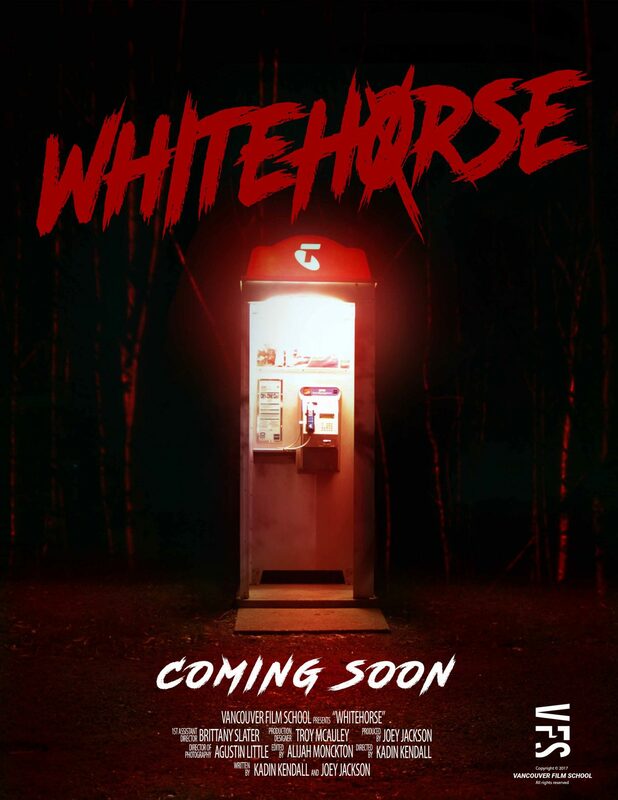 While walking down the road Wendy starts to see signs of eerie behavior, finding rusty tire spikes, strange signs and an old phone booth with what seem to be warnings of what’s really happening behind the scenes in the outskirts of Whitehorse. Once Wendy realizes that the phone is cut-off and the growing suspicion that she isn’t alone, she turns to leave when the phone starts to ring. She answers it only to find a strange distorted message to puts her even more on edge. Wendy’s escalating concern makes her turn back and attempt to find Jack and find a way out of there eerie situation, but when she arrives back at where the car broke down, a new problem has surfaced. A black SUV is now by their car, and Jack is nowhere to be found. Wendy inspects the vehicle but is interrupted by a strange, broadcast from the SUV’s radio. Not soon after this happens a strange man appears and begins to repeat the broadcast. Wendy panics and flees only to find Jack in the distance, but when she gets a closer look she finds that Jack has been possessed. specified. Please submit by phone or email. Jack: Jack is the type that doesn’t like to feel useless or unwanted, he always wants to do his part and help out no matter what the situation is. Jack is always trying to prove himself to people especially Wendy because deep down he feels invalidated by how independent she is. Jack also realizes how dysfunctional his relationship with Wendy is and is trying to hold on to it for as long as possible. Wendy: Wendy is a head strong modern women, she can take care of herself and is strong in her own right. She isn’t easily scared and even when she is deep down she has the fight mentality and charges head first so it takes something really difficult for her to deal with to break her. Wendy doesn’t like to deal with emotional and relationship problems, she prefers to sit and wait on those types of things and see how they play out, but also she is scared about how they may play out as well. Cult Priest: The Priest shown at the end and heard over the radio is the leader of the cult that set the trap for people like Wendy and Jack. He craves power over others and seeks to grow his number of followers by any means necessary. He believes that his views are the only that should be heard and that his influence should reach as far as possible.